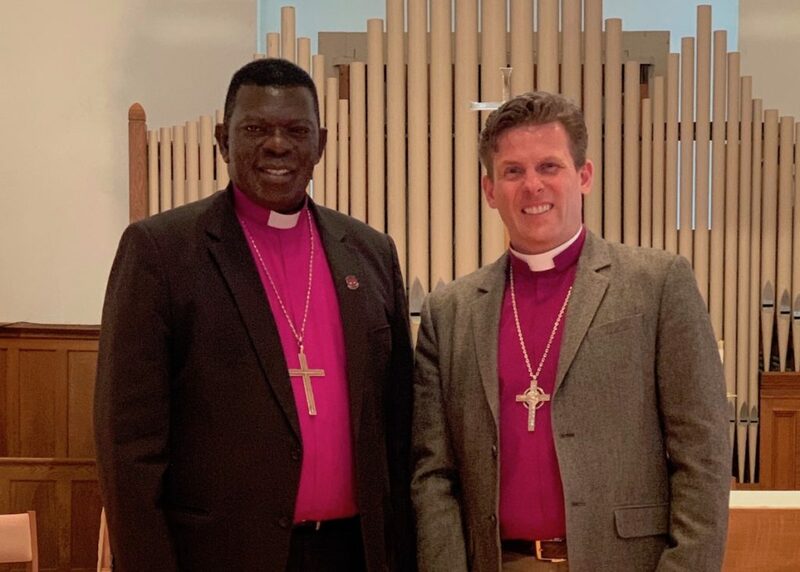 March 28, 2019 – Bishop Andrew Williams met with Bishop James Ssebaggala of Mukono Diocese, Uganda today, along with the Rev. Michael Kafeero of St. Paul’s Church in Waltham. Both bishops wanted to meet and get acquainted while discussing future plans for partnership in ministry. Bishop Williams was inspired to hear what was going on in Mukono under Bishop James in the last ten years, especially their vibrant missionary work and substantial growth. 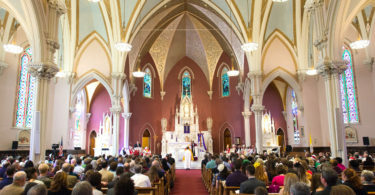 The diocese currently has an outreach to the 20,000 people who live in the islands of Lake Victoria, along with multiple educational development endeavors, and work to overcome the HIV epidemic in certain Ugandan communities. Their work has been creative, Spirit-led and has born fruit in a variety of socio-economic and environmental conditions. 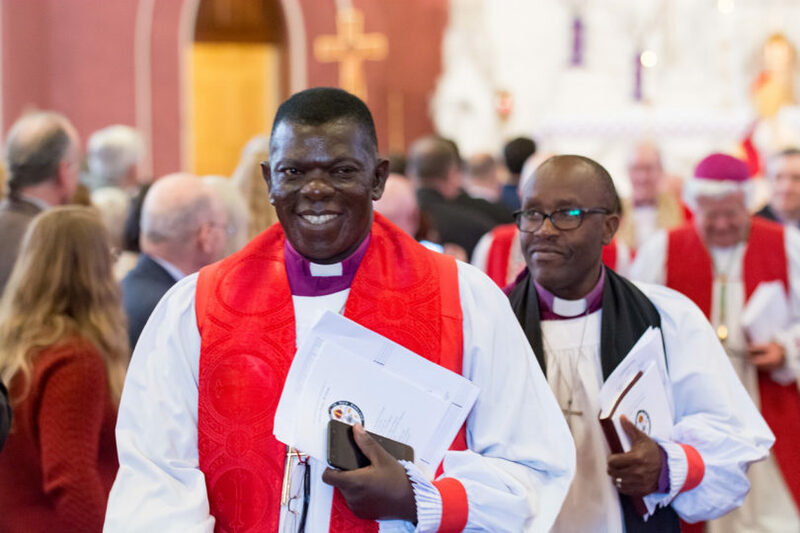 Uganda has cherished the partnership and friendship with Bishop Bill and this diocese developed over the past ten years. 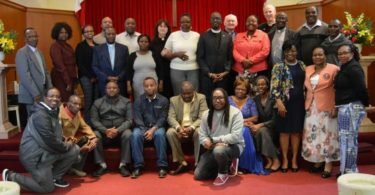 They discussed ways to move forward and build upon that relationship with Bishop Andrew, in addition to ways for strengthening our Ugandan archdeaconry and the partnership that exists between those communities and their sister churches abroad.